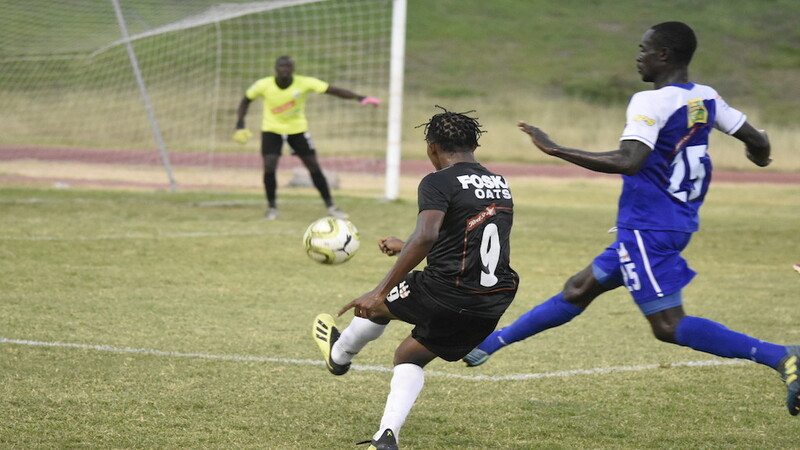 Defending champions Portmore United climbed back to the top of the Red Stripe Premier League (RSPL) on Sunday when they stopped Humble Lion 2-0 at Effortville Community Centre. It was the identical score that Mount Pleasant used to pile more misery on Montego Bay United in another game on the day at Drax Hall. 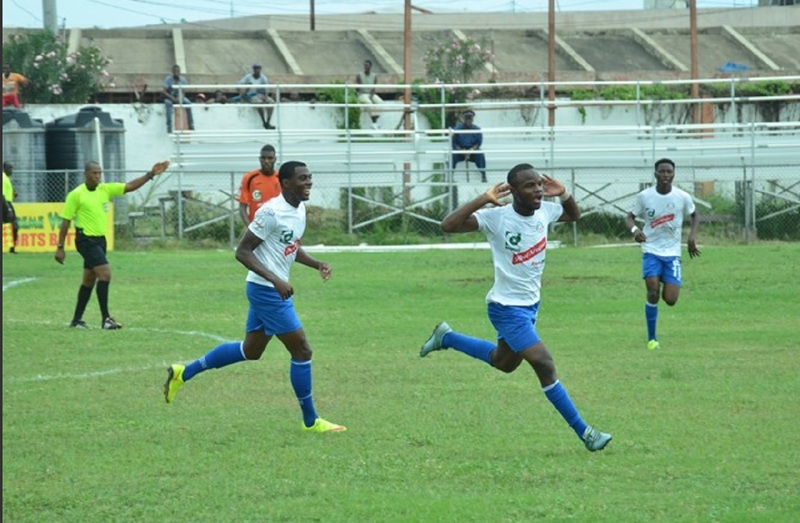 Goals by Ryan Wellington in the fourth minute, and Andrew Lewis in the 41st, carried Portmore to 47 points to lead the standing ahead of Cavalier, who will play their 25th round match on Monday against UWI at the Anthony Spaulding Sports Complex. Cavalier had led on goal difference before Sunday’s matches. 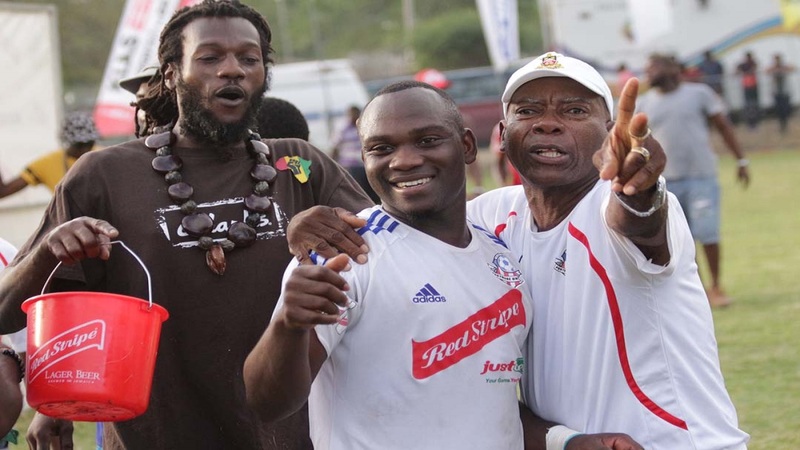 However, four-time champions of the competition, Montego Bay United, are staring relegation in the face, as goals from Daniel Green in the 12th minute and Francois Swaby in the 77th, for Mount Pleasant, kept Montego Bay United rooted at the bottom of the table on 19 points, with eight matches left in the preliminary round of the competition. With the win, Mount Pleasant moved into fourth position on 38 points, as they have leaped over UWI, who are on 36, but with Monday night’s match to play. Meanwhile, at Frome Sports Complex, Arnett Gardens defeated Reno 2-1 to jump two places in the standing to fifth on 37 points, moving ahead of Tivoli Gardens and UWI. Goals by Jabeur Johnson in the 56th minute and Fabian Reid in the 76th, provided the win for Arnett, which kept Reno second-from-bottom on 22 points. Renorio Downswell scored for Reno in the 63rd minute, while Kemo Wilson of Reno and Lamar Nelson of Arnett were sent off two minutes into second-half added time. Tivoli dropped a place to seventh, as they drew with Dunbeholden 1-1. 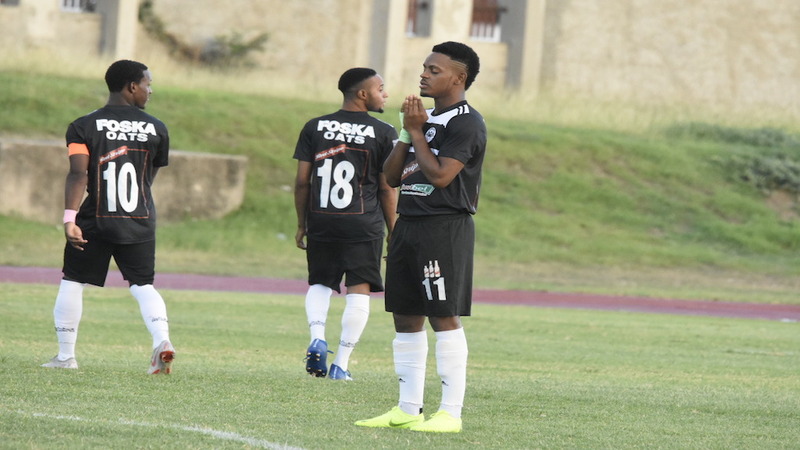 Veteran Jermaine Johnson had given Tivoli a 45th minute lead, which was cancelled by Narado Brown in the 74th for Dunbeholden, who have kept themselves just above the relegation zone on 24 points. In the match at Drax Hall, Montego Bay could have suffered a humiliating loss had it not been for faulty finishes by the Mount Pleasant players, especially Cordel Benbow, who missed an easy chance to score in each half, while also failing to capitalise on other opportunities. Mount Pleasant playing at home and pressing, got an early goal when Benbow provided Kevaughn Isaacs with a ball further up the field, with the latter feeding Green a lovely through ball for him to beat the goalkeeper. Mount Pleasant failed to take their opportunities, and it allowed Montego Bay to come back, and they roared into the second half, pinning their opponents into their section of the pitch for lengthy periods. However, they left themselves open for counter attacks, which Mount Pleasant used to score their second goal, with Swaby firing powerfully into the net.